March 21: We’ve looked at many types of music podcasts this month as part of our 31 Days of Free Music, ranging from free classical music shows to barrages of noise. You can’t look at free music without thinking about the Grateful Dead – one of the early supporters of DIY concert taping. 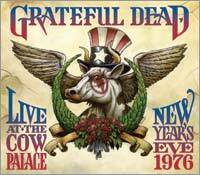 Luckily for Dead fans, KOPN offers the Dead Show, aka DeadPod, a free podcast that looks at the music of the Grateful Dead. SAT. 6/21/03 IN HARTFORD CONN. IF YOU HAVEN’T HEARD IT, I’M PRETTY SURE THAT YOU’D LIKE IT. IF YOU HAVE IT OR KNOW WHERE NTO FIND IT, PLEASE LET ME KNOW. THANK YOU GIL. For an awesome Grateful Dead podcast show – check out Shakedown Stream. Jer Bear posts a new show weekly. Go to Shakedown Stream at iTunes – you won’t be disappointed. Check out Shakedown Stream weekly for an awesome Grateful Dead show on iTunes. Jer Bear is the former DJ and host of the Night of the Living Dead out of Hanover, NH for years. He has been sonically reborn at mvyradio.com. Where’s all the free music???????????? JUST WANTED TO HEAR SOME TUNES & HOOK UP WITH LOCAL DEADS ? ?